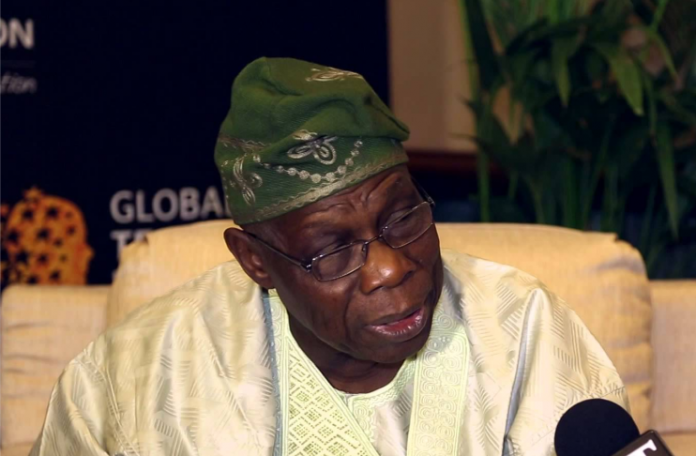 BEVERLY HILLS, October 10, (THEWILL) – Members of the Pan Yoruba Socio-cultural group, Afenifere, on Tuesday held a closed-door meeting with former President Olusegun Obasanjo in Abeokuta, Ogun, over the 2019 polls. The meeting which started around 3.30 p.m lasted about two hours. Mr Yinka Odumakin, who addressed newsmen on behalf of the group after the meeting, said the group was in Abeokuta to pay a return visit to Obasanjo. The former president had recently visited Chief Ayo Adebanjo, one of the leaders of the group, in Lagos. He said the meeting, which centred around the 2019 polls, was meant to harmonise the position of the Yorubas in Nigeria concerning the 2019 general elections. “Few weeks back, Obasanjo came to Lagos to visit Pa Ayo Adebanjo and we are here again today to return the visit in order to further strengthen the friendship with the group. “The meeting also aims at creating an harmonious position in Yorubaland over the leadership of the country in respect of the 2019 general elections. “The general elections are around the corner and leaders across Nigeria are coming together to discuss the event, which is so crucial to the life of the nation. “All hands must be on deck to get the country re-established and all grey areas must be ironed out,” he said. Odumakin described the 2019 presidential race as “exciting” in the light of the candidates, who have emerged from the two major political parties. According to him, the group will support any candidate, who prioritises restructuring, because Nigeria cannot realise its dream without restructuring. He said the group would soon adopt its preferred presidential candidate, saying “an official pronouncement would be made on the decision. “The pendulum is swinging and we will let you know where it finally settles,” he said. Members of the group, who attended the meeting are a former governor of Osun state, Prince Olagunsoye Oyinlola, a former Minister of State for Defence, Mrs. Dupe Adelaja, Chief Ayo Adebanjo and Hon.Oladipo Olaitan. Others are former Nigerian Ambassador to the Netherlands, Dr Tokunbo Awolowo- Dosunmu, Sen. Femi Okurounmu, Prof.Banjo Akintoye, Mr. Yinka Odumakin and Mr. Supo Sonibare.